Closing date for receipt of entries is 30 June 2019. The name of the author must not appear on the same page as the story. No name or address should appear on the same page as the story. You can enter as as many stories as you like. of receipt of your postal entry (include international reply coupon if entering from overseas). publish the winning stories in the autumn 2019 issue and any relevant promotional material. The judge is Kit de Waal. Her decision is final and no individual correspondence can be entered into. A 1st prize of �3,000, a 2nd prize of a week-long writing retreat at Circle of Misse in France (including �250 for travel) and a 3rd prize of �1,000. Prizewinner will be notified in writing by mid August 2019. 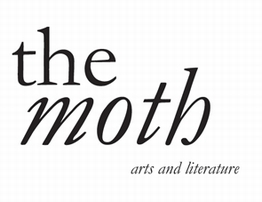 The winning stories will be published in the autumn 2019 issue of The Moth.